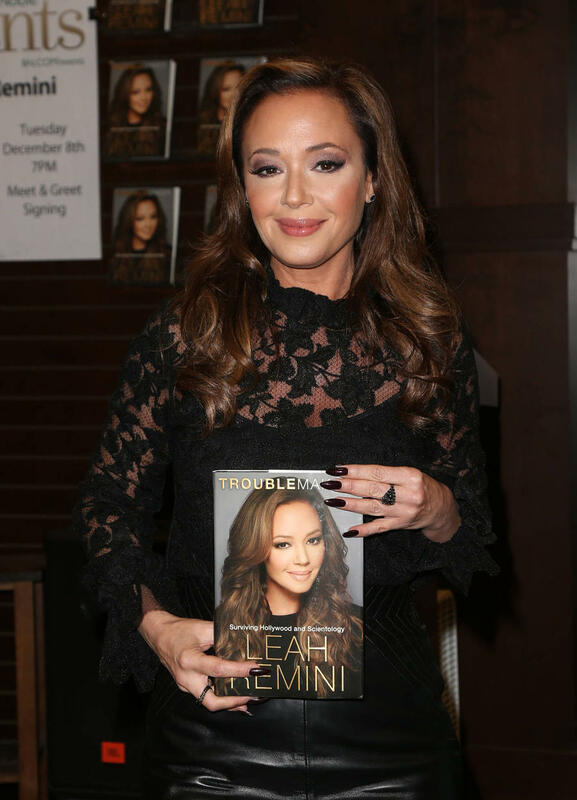 Leah Remini says Tom Cruise and other Scientologists think she is ''the devil''. Leah Remini says Tom Cruise thinks she is ''the devil''. The 46-year-old actress abandoned the Church of Scientology in 2013 after 30 years and has been working on a new A&E docuseries 'Leah Remini: Scientology and the Aftermath' in order to expose it and says Tom and other members of the church see her as the enemy. In an interview for 'Larry King Now', she said: ''He thinks I'm the devil. Tom and most Scientologists, all Scientologists, are taught to believe that people like me are literally the devil, that we mean them harm. When asked if she thinks Tom is ''delusional'', Leah said: ''I could say that about myself at the time. Speaking previously about her reason for making the documentary, Leah said: ''For too long, this multi-billion-dollar organisation bullied victims and journalists to prevent the truth being told. It is my hope that we shed light on information that makes the world aware of what is really going on and encourages others to speak up.